At the last minute, I found out about a Wu-Tang Clan concert at the House of Blues. Since they are only my favorite group of all time, I decided I couldn't pass it up. Ideally, I would have loved to take my camera into the concert, but I knew that would be shot down. 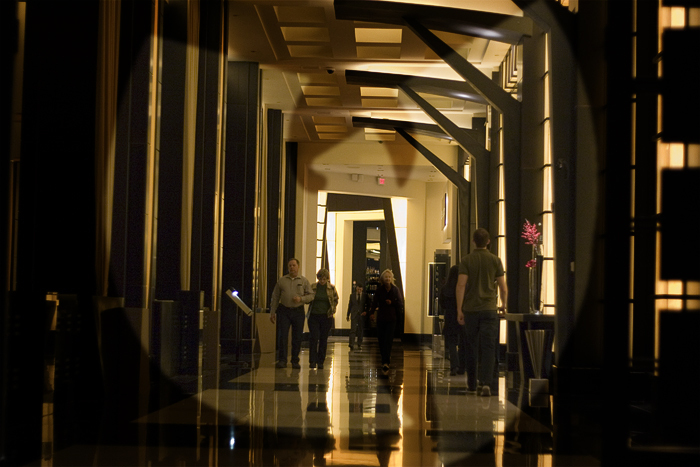 Instead, I took a photo of the hallway inside THEhotel and gave it some Wu flavor.